I have 4 pieces of Renault Kerax 440 tractor head along with 4 trailers. Trailers are with 49 cubic meter with 85 ton capacity. Perfectly suitable for mining. 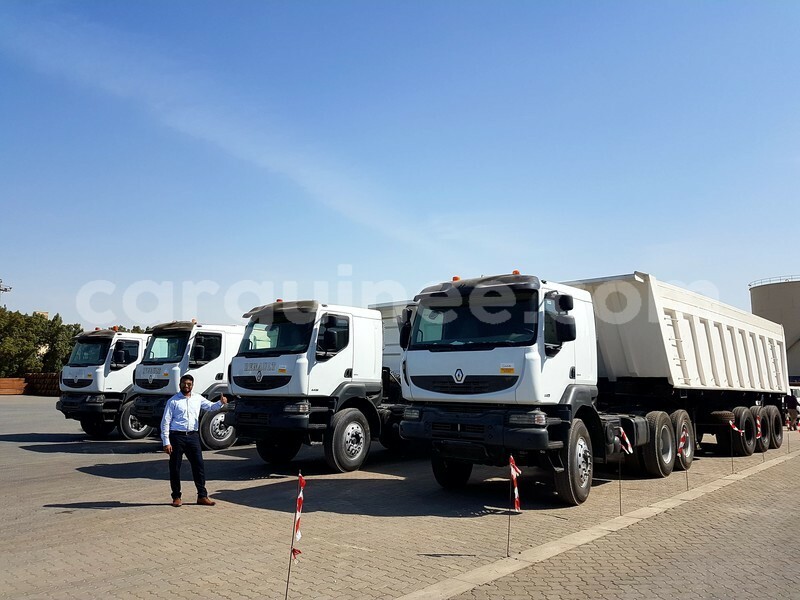 Trucks are available for inspection in Conakry. Customs are paid in full with permanent registration. Bonjour, je suis intéressé par votre Renault D55 en Conakry - Conakry vu sur CarGuinee.com. Pourriez vous m'envoyer plus d'informations? Merci.